Congratulations to David Wright, whose single last night extended his hitting streak to 24 games, tying a Met record shared by Hubie Brooks (1984) and Mike Piazza (1999). Leaving aside for a second the idiotic debate over whether Wright’s “around the corner” hitting streak should “count”– the correct answer is, of course it should – and the larger question as to whether random counting records like this are important – they’re not – it does provide an example to muse briefly on the men who set the records. It’s easy to associate David Wright with Hubie Brooks. Both were organization-bred third basemen wearing single-digit uniform numbers. And at the time they set hitting streaks each would be considered “answers” for the organization’s storied struggle to find third basemen. That story today is more like a legend seeing as since Brooks (Johnson, Ventura, Wright) third base has been a position of strength for the Mets. Submitted by Jon Springer on Mon, 01/21/2008 – 10:55am. My fandom starts just after the Carter trade, first game 1985, but I always liked watching the careers of ex-Mets and knew of Hubie’s popularity “back in the day” and his return in 1991 gave me some nice warm and fuzzy moments. By the way, where is the Mikey section of the post? I don’t know if you still have it saved, but I love your note about Piazza on the 31 section just after the contract was signed, essentially that down the road his contract may be a burden. Forshadowing a “good topic for slow days” on sports radio, (and mindless posts by message board posters who think it would be a good debate starter) the “should we trade Piazza now” debate that seemed endless. Pretty good memory, Steve J. His contract might someday be a burden, and he involuntarily ended Todd Hundley’s career as a Met, and some days, he can’t throw out Dave Magadan with a bad jump, but man, does Mike Piazza hit the ball hard or what? For better or worse, the Mets are married to The Burly Bachelor for the next half-dozen years. And though fans will try, it’s hard to argue his partnership thus far. He’s a slam dunk Hall of Famer, but what will really matter to Met fans is whether he’ll lead the team to a World Series championship, as the organization’s other storied catchers acquired in trades (Grote, Carter) have. Let’s watch. Funny story: I used to work for the Catskill Cougars of the independent Noertheast League. The pitching coach was Floyd Youmans, who also went to Montreal in that trade. He told me that we weren’t the only ones who learned of that trade on Monday Night Football — he did too. He said he was watching the game with friends and one of them spotted the crawl text and said something like “Hey Floyd, I think you’ve been traded” (I don’t remember the exact quote). Floyd was a nice guy. As a ‘true’ Mets fan, you will remember these two particular games in 1983, which included Hubie Brooks and happened about a week apart. Shea Stadium, tie game, bottom of the 9th. Mookie reaches 1st on a hit(or walk). Hubie sacrifices him to 2nd. Hernandez is intentionally walked. 1st game, Foster hits a ground ball to short. Force play at 2nd for one, Foster beats the throw to 1st. Meantime, Mookie comes whipping around 3rd and beats the 1st baseman’s throw. Mets WIN!! 2nd game(about a week later), Foster hits another grounder to the shortstop, who flips to 2nd for one. The 2nd baseman catches Mookie rounding 3rd and throws home. Mookie beats the throw & the Mets WIN again!! How’s that for a Happy Recap? Submitted by Jim (not verified) on Wed, 02/13/2008 – 8:14pm. Help. I have a Mets home game uniform from 1981 with the name of Smith on the back and a team tag that says 31 81 1 3 inch extra length. 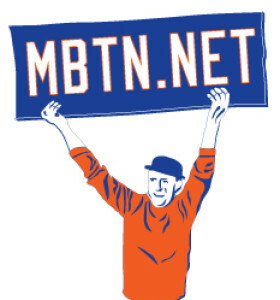 I can not find any Smith that played or coached for the Mets that year. Can anyone help? Thanks.